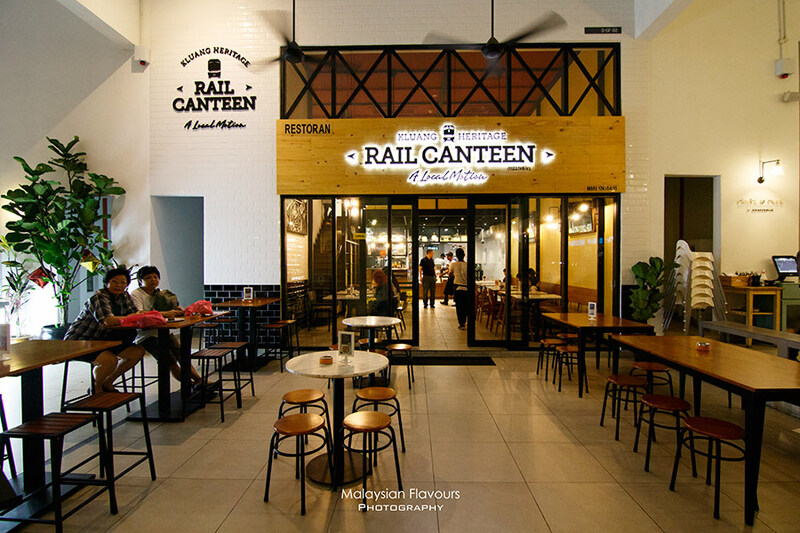 From Kluang Johor to Damansara Selangor, Rail Canteen at Sunway Nexis flourishes Kluang most celebrated eating tradition by introducing “food from Kluang railway station canteen” in their menu. 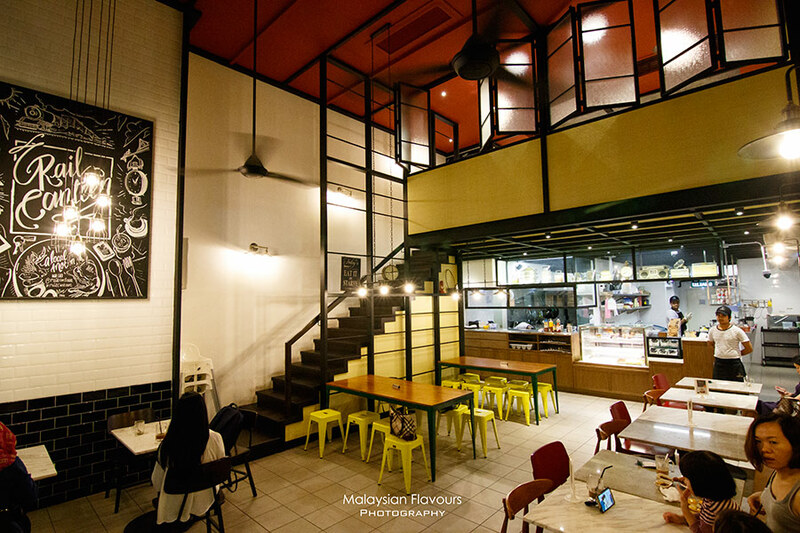 Kluang locals who work in KL can now come by for a taste of home, while city people like us, visit with nostalgic scenes of traditional coffee and toasted bread over charcoal fire locked in heart. 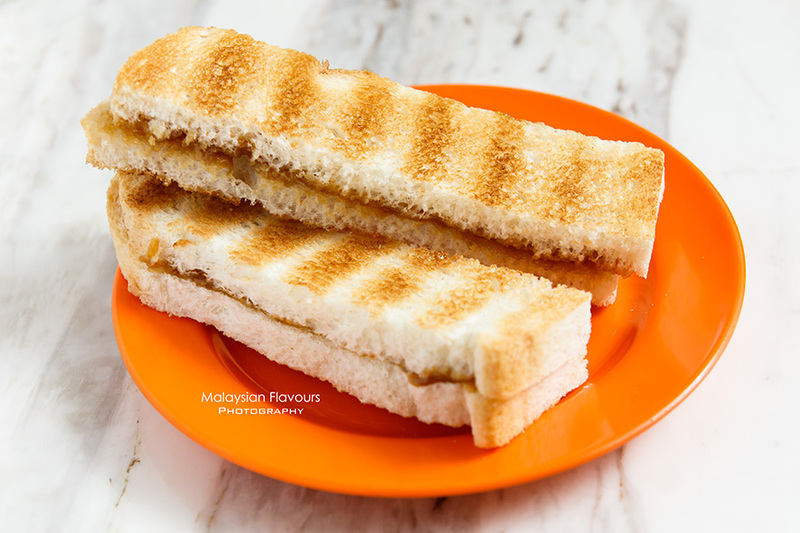 A cup of Kluang coffee, toast thickly spread with homemade kaya butter and nasi lemak sambal – that is how original Kluang Railway Station Canteen has been serving travellers, who waiting to board on a train, or just disembark at Kluang Railway Station, for over 3 generations. Today, the 4th generations are still managing the original Kluang Station Canteen with 2 branches in the area, and latest, in Selangor. Rail Canteen replicates an interior like a canteen in railway station, with furnishing stays closer to modernized cafe. For menu, Rail Canteen keeps the traditional as the core, with a fusion touch to fit the trend. 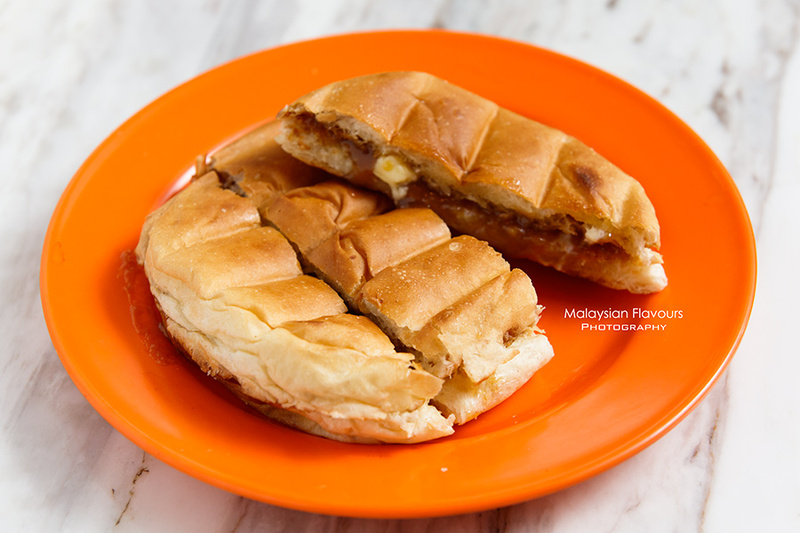 Bun Bakar and Roti Bakar are the must have, having fresh bun toasted to crunchy at the outside, fluffy inside with a layer of homemade kaya and slice of butter sandwich within. Pair with a bowl of Soft Boiled Egg for complete, comfort breakfast. 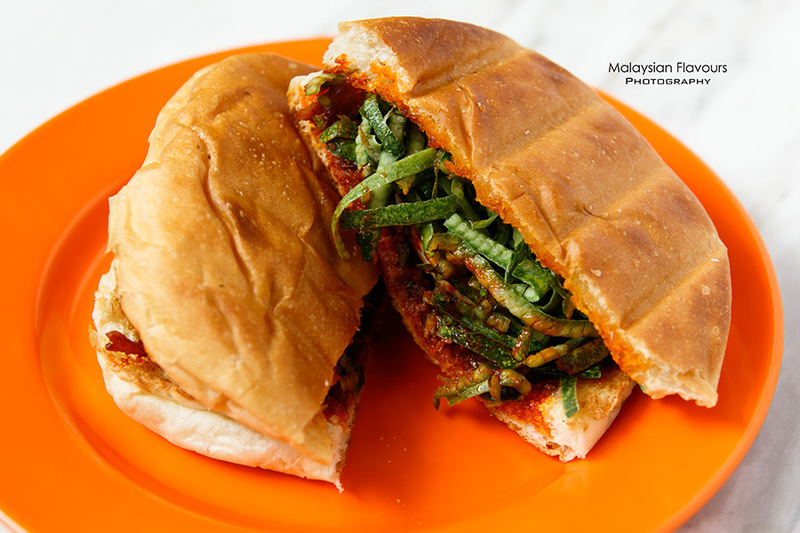 Bun Sambal Special entices the tastebud, layering spicy, aromatic sambal and julienne cucumber within two crusty, old-school sweet bun that we used to called it as “spaceship bun” when we were small. In case you prefer meatier version of bun pairing , with sauce to douse with, order Roti with Rendang Ayam or Roti with Rendang Kambing. 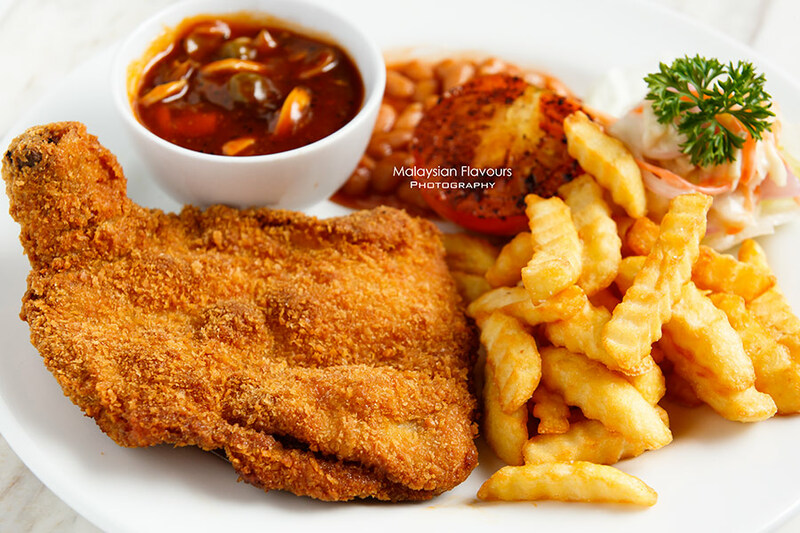 Instead of flooded the delicious, crunchy deep fried chicken chop with sauce, the very real traditional style, Rail Canteen makes some switch by placing a small bowl of sauce next to it, so that you can add according to your preference. If you love the traditional style, why not? Just pour the whole bowl of sauce onto your chicken. For us, we prefer having a piece of deep fried chicken in their original, crispy state, and another piece dip into the sauce to get more flavours. It has been quite some time since we had a bowl of mee rebus. Rail Canteen version of mee rebus gravy is rich, thick, potato-ish with very mild trace of spiciness, all gracefully coated to the noodles for a smooth slurp. Topped with hard boiled egg, fish cake, tofu and deep fried shallot. One of the best sellers in Rail Canteen. 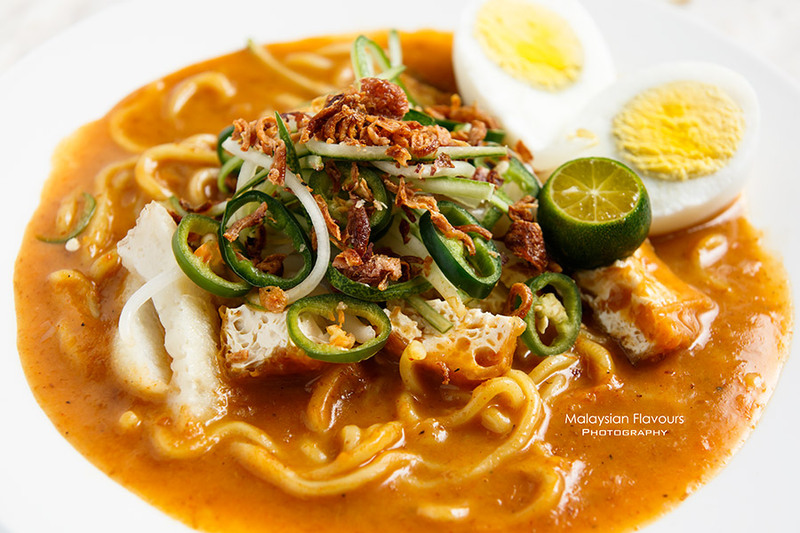 Flavourful mee hoon, we like it in the simplest version, sided with sambal for extra spicy kick. 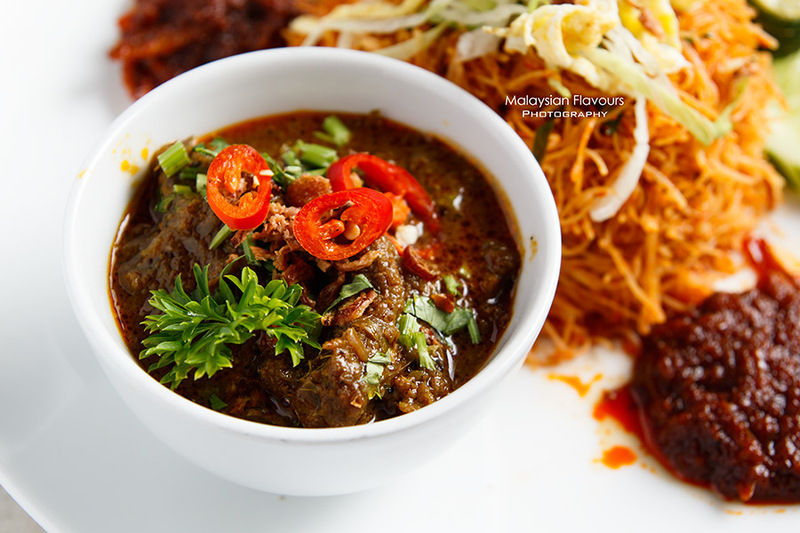 Diners seeking for more hearty version can top up with Kambing Rendang, and so forth. Highly recommended, the best dish we had in Rail Canteen. 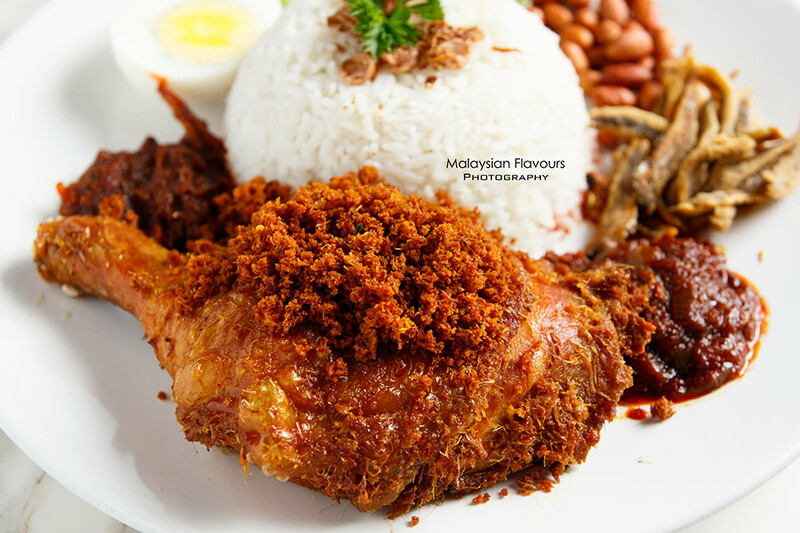 Fragrant, coconuty rice aside, the Ayam Goreng Berempah is the clear winner. 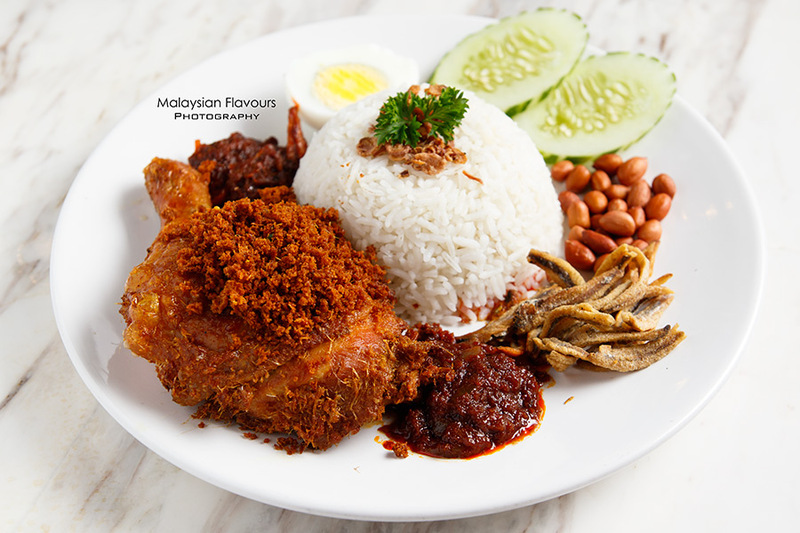 Freshly deep fried and served pipping hot, it is so satisfying to bite on the extra crunchy at the outer layer, rubbed with aromatic herbs & spices, followed by juicy, tender meat sealed beneath. 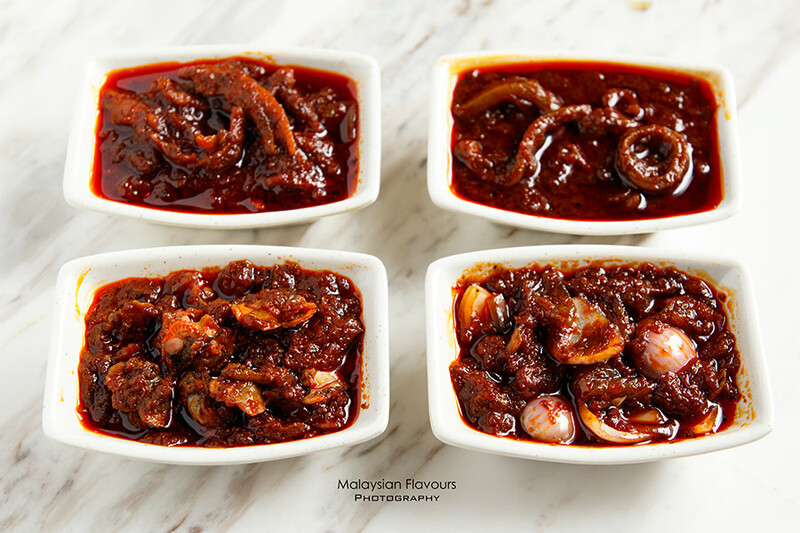 Sambal ikan bilis, sambal sotong, sambal kerang and sambal bawang – choose for your favourite! 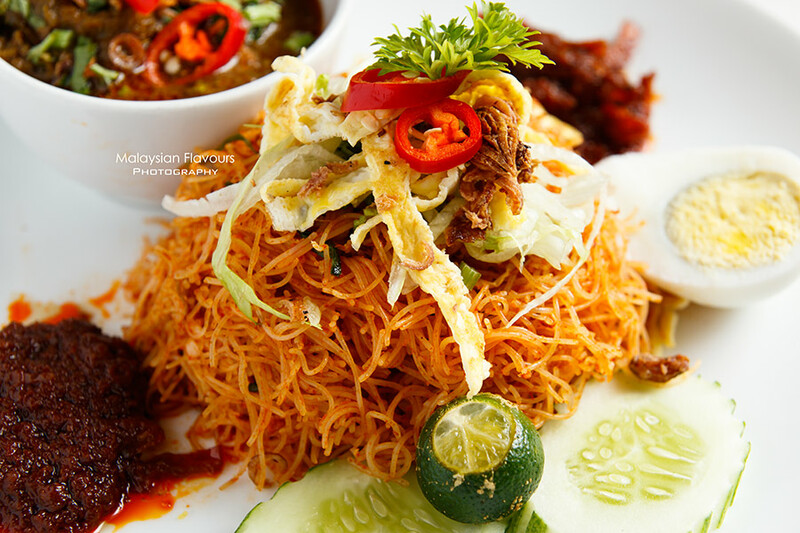 We especially love the sambal ikan bilis, ample of chews from anchovies helmed with lots of of spicy “oomph”. 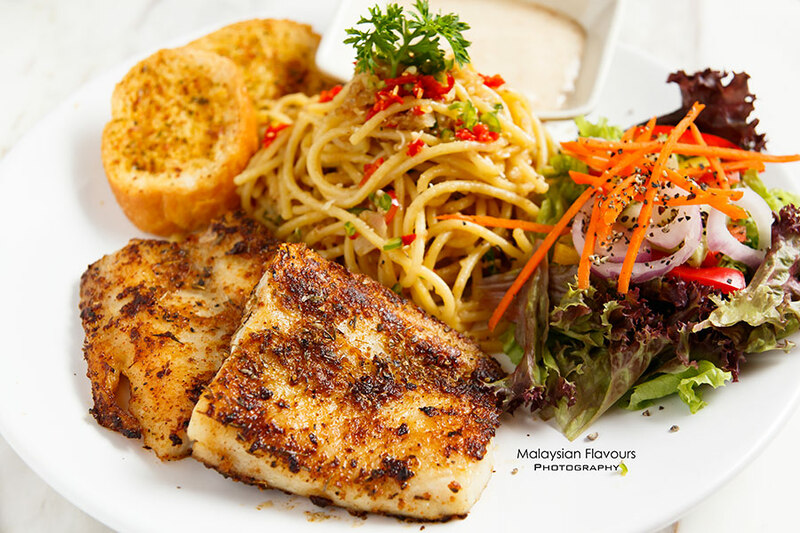 Rail Canteen takes a great move this year, widening their menu with Western fusion delights, including Grilled Cajun Dory with Spaghetti, Spaghetti with Rendang Kambing, Grilled Chicken with Garlic Fried Rice, just to name a few. 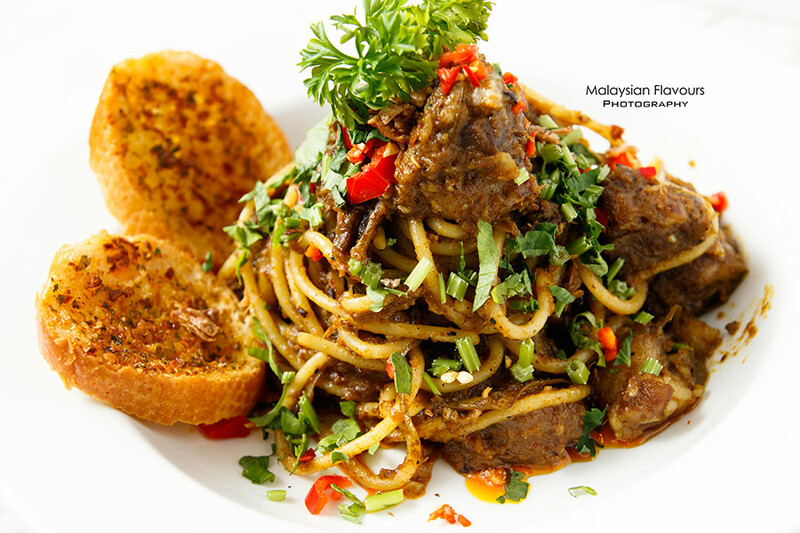 A brilliant idea to combine Rendang Kambing, something that Rail Canteen prides at, with spaghetti. 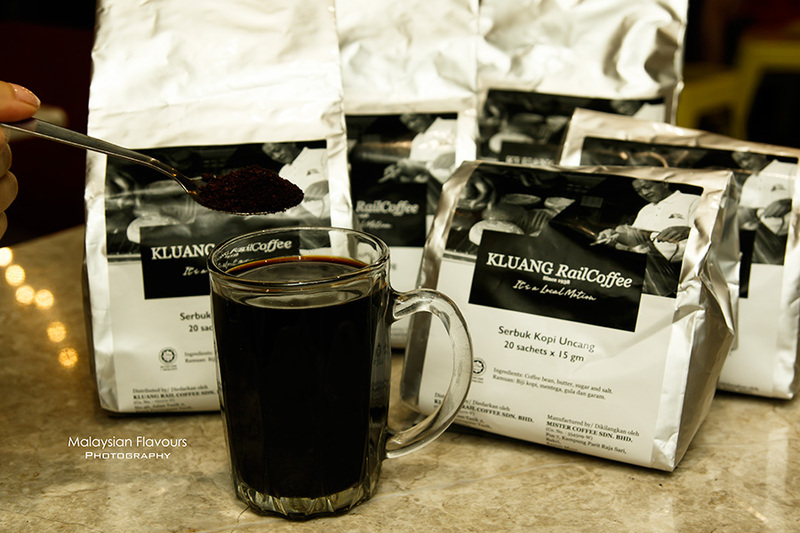 Flavours laden, creamy, hints of pleasing gaminess in every spoonful. Summerkid can polish clean the whole plate in a jiffy. 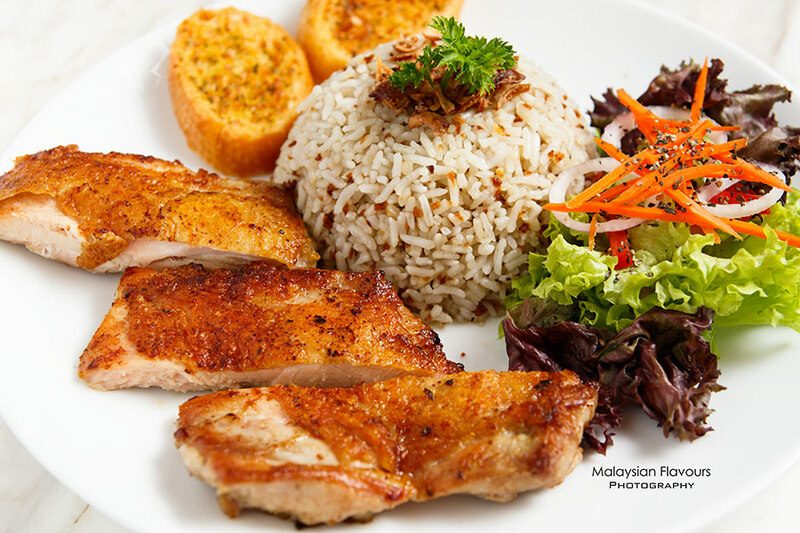 Grilled chicken + fried rice, this new dish can easily becoming the crowd favourite. The Garlic Fried Rice itself leans to Rail Canteen very-own-version, so do not compare with any Garlic Fried Rice you have in Japanese restaurants.